Build a Deck Video: Part 3 | Wood. It's Real. | Wood. It's Real. 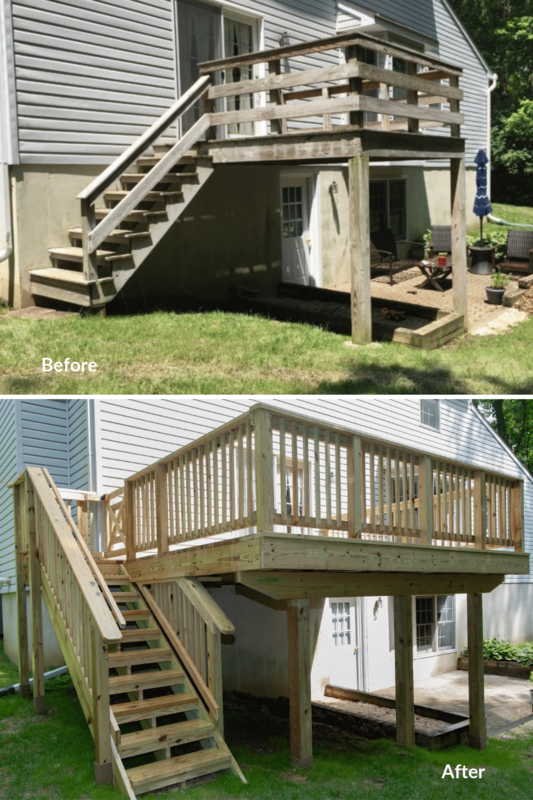 We present to you the third and final video in the how-to-build-a-deck series we worked on with Mark of My Fix It Up Life. First, he showed tips, tricks, and techniques for building a deck. Then he tackled installing joists, hardware, and posts. And now, he’s wrapping it all up and finishing up this project. Check out the video here and take a look at the before and after below. Pretty impressive stuff.